These beautiful cupcakes are the cats meow! 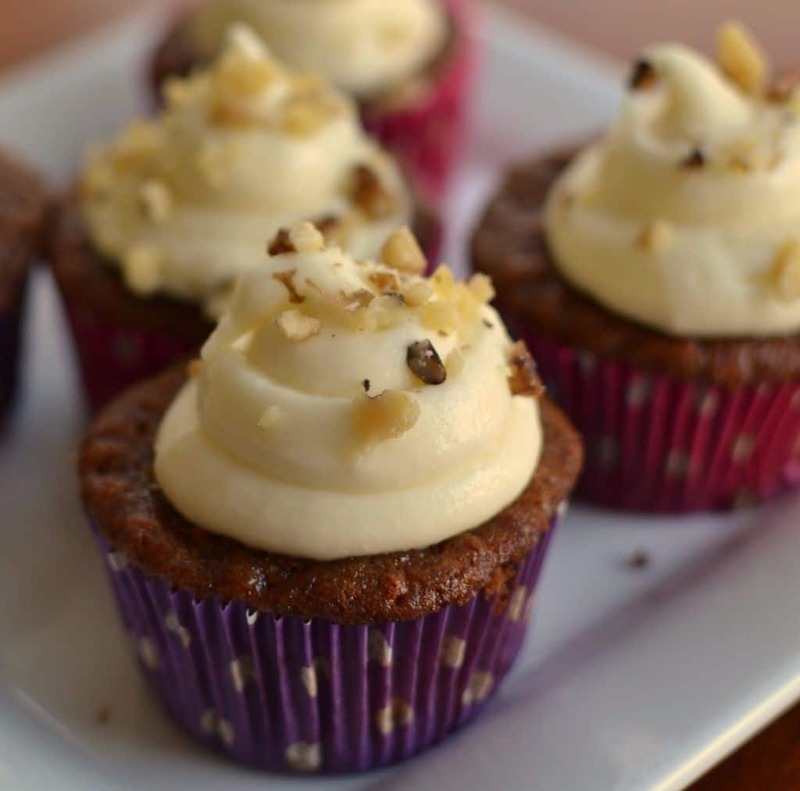 You know a cupcake is delicious when you can eat them endlessly without frosting. You will be hooked. Don’t blame me! In medium bowl combine flour, baking powder, baking soda, salt, ground cinnamon and nutmeg. Beat eggs, sugar and brown sugar in large bowl. Mix in oil, vanilla, carrots and pineapple. Add flour mixture to pineapple/carrot mixture and stir just until combined and evenly moistened. 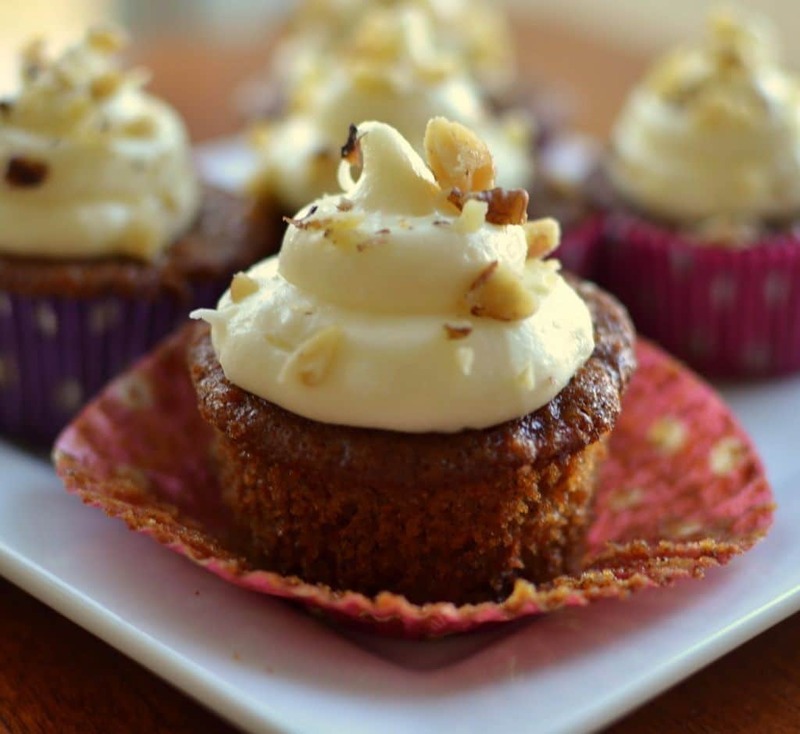 Fold in 1/2 cup walnuts Fill cupcake baking cups about 3/4 of the way up. Melt chocolate chips in microwave according to manufacturers instructions. Allow to cool to room temperature. In a stand mixer beat cream cheese and butter until smooth. Mix in white chocolate and orange extract. Gradually add powdered sugar until icing is creamy. Mix in half n half. Ice cupcakes after they are completely cool. Sprinkle with remaining chopped walnuts. Carrot cake is a favorite of mine but a whole cake is just too much. These look perfect! Will definitely have to try them! Did I miss it–how many does the recipe make? Oh my goodness. These are so good! I am dreaming about them now! The recipe makes 12-15 depending on how high you fill your cupcake wrappers. I love carrot cake. It’s my favorite. I can’t wait to try these. The recipe looks delicious. So far I have tried just about all of your recipes and I and my family have been very pleased. I did not try yesterday’s recipe but only because we’re not big buffalo sauce people. 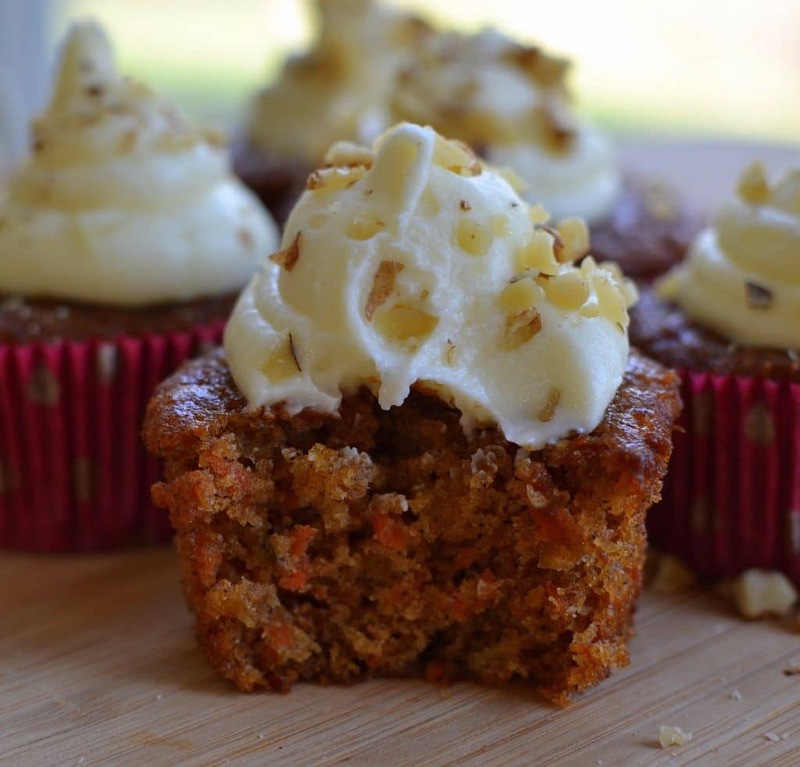 But Carrot Cake Cupcakes with that yummy frosting … perfect. Glad you like so many of my recipes and thanks so much for the compliments. Sweet comments like yours are what keeps me creating and cooking! Oh my apologies. Yes it is 1/2 cup. It is fixed. I am feeling a little under the weather today and I am dragging. Did you use 1/2 cup? I sure hope so! How many cupcakes does this recipe make? I don’t see it written anywhere. So sorry about the delay. I was shopping and cleaning and completely forgot to jump on here and check messages. Holidays will do that to you! The recipe makes 12 cupcakes. Thank you. I made them for Easter and they were perfect! So glad they were perfect for your Easter! LOVE IT!! These look delicious. I will add 1/2 cup coconut and golden raisins instead of chocolate chips. I enjoy so many of your recipes and enjoy your comments as well. Have a great day! Hi. I made this recipe in small cake pans and it is delicious, but the cake sank in the middle. Why? ? thank you for your help. Oh sometimes baking does not go as planned. So sorry to hear that. Could your oven temperature be off? Could your baking powder of baking soda be old and ineffective. 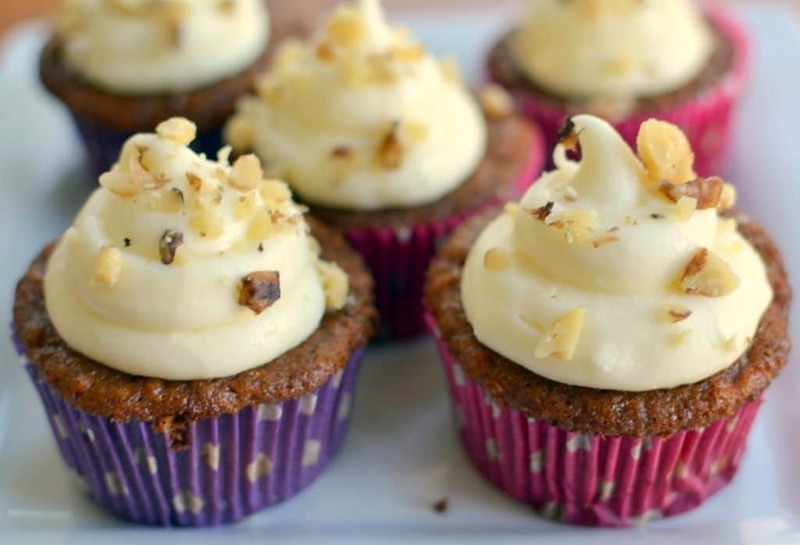 I have never had trouble with these cupcakes bit I have never tried to change it to a cake.